The nature of our processing information combined with our knowledge of the history of representation is bound to influence our making sense of a given (visual) situation. Information transforms into ‘story’. In an attempt to initiate liminal visual situations, images, which carry subtle interventions of different kinds, allow to disturb and consequently prolong their immediate reading or processing. Uncertainty is evoked and questions might arise about what we see and how we see, leaving an open space to navigate and fill up with new meaning. What happens when being confronted with the unexpected, with events that create high levels of uncertainty, sometimes also called ‘states of crisis’? In my past and current work I explore phenomena such as fragility, dis- or interruption, failure, transformation, liminality and loss within a visual art context. In this context liminal events refer to in-between situations and conditions that are characterized by the dislocation of established structures, the reversal or undermining of hierarchies, and uncertainty regarding the continuity of tradition and future outcomes. In playful and subtle ways periods of scrutiny are invoked. Central values and axioms are questioned which leads to an instant where normal limits to thought, self-understanding, and behavior are questioned and eventually undone. In such situations, the very structure of the familiar or known is temporarily suspended and reality or our perception of it is called into question. Can you put a finger on it? Name it? Not quite? Wordword word word wordwordswords word Word word. Wordwords word word word word words. Wordswords wordwordswords; Word word word. Wordwords word word word word words. Words wordwordswords word Word word. Wordwords word word word word words. Wordswords wordwordswords word, word word. Word word Wordwords word word word word wordswordswords wordwords word Word word. Wordwords word word word word wordswords Words wordwordswords word Word wordwordswords word Word word Wordwords word, word word word wordswordswords wordwordswords, word Word word Wordwords word word word word wordswordswords wordword Word wordwordswords word Word word Wordwords word word word word wordswordswordswords word Word word Wordwords word word word word words. 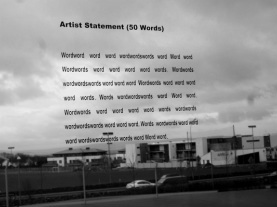 WordsWords wordwordswords word Word word Wordwords word word word word wordswords wordwordswords word. Word word Wordwords word word word word words Wordswords wordwordswords word Word word. Wordwords word word word word wordswordswords wordwordswords word Word wordwordswords word Word word, Wordwords word word word word wordswordswords wordwordswords word Word: word Wordwords word word word word wordsWordsWords wordword Word wordwordswords word. Wordword word word wordwordswords word Word word. Wordwords word word word word words. Wordswords wordwordswords word word word. Wordwords word word word word words. Words wordwordswords word Word word. Wordwords word word word word words wordswords wordwordswords word word word. Words, wordwords word word word wordswordswords words word Word word.